What grows almost anywhere and is a vegetable, but tastes like a fruit? If you guessed rhubarb you are right! Rhubarb is this healthy little plant that gives us gorgeous red stems that taste tart and sweet like a granny smith apple. You can bake with it, make jam with it, and even cook it in stews, but my favorite way to eat rhubarb is in a Berry & Barb or Strawberry Rhubarb Pie. My grandmother loved her rhubarb. It was a family treasure for her and many stories were told of how her great grandparents planted rhubarb on the prairies of Nebraska as their only source of fruit. Grandma tended those plants like they were something of great value and from her harvest she made the best jams, pies and puddings. Rhubarb grows from the beginning of spring through fall and you can find rhubarb plants in most of our local garden shops ready to go. If you harvest it as soon as the stems are about a foot high, you can get several harvests in one year. Trust me, if I can grow it in Woodland Hills you can grow it anywhere! 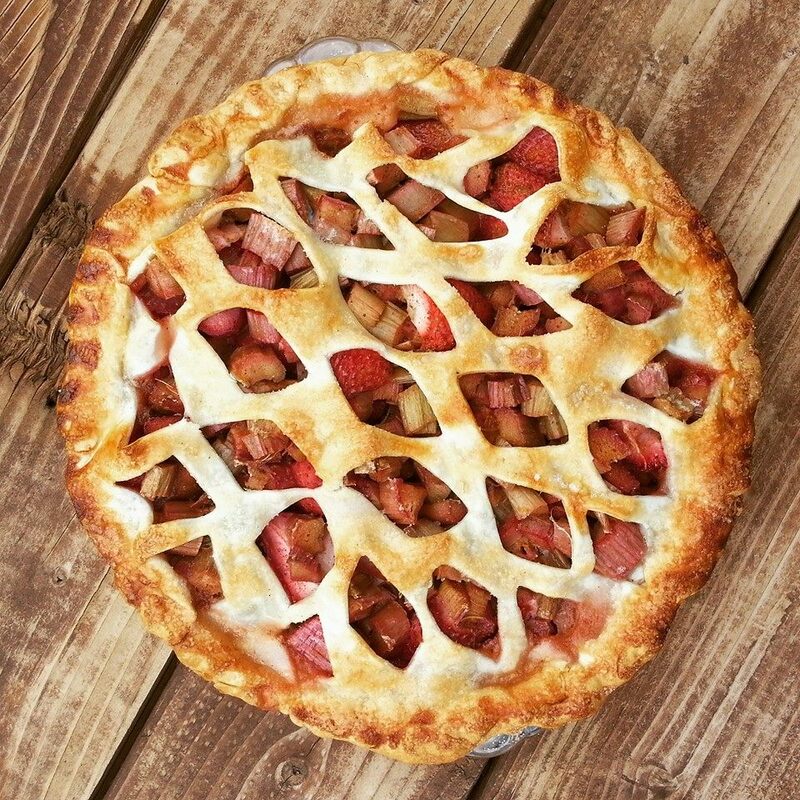 The easiest way to preserve rhubarb is to freeze it. It will last up to a year in a freezer and will stay good in your refrigerator for 3 to 4 weeks wrapped in a paper towel. I chop mine up and freeze them for whenever I am craving a Berry and Barb Pie or Grandma Abbie's Rhubarb Pudding. 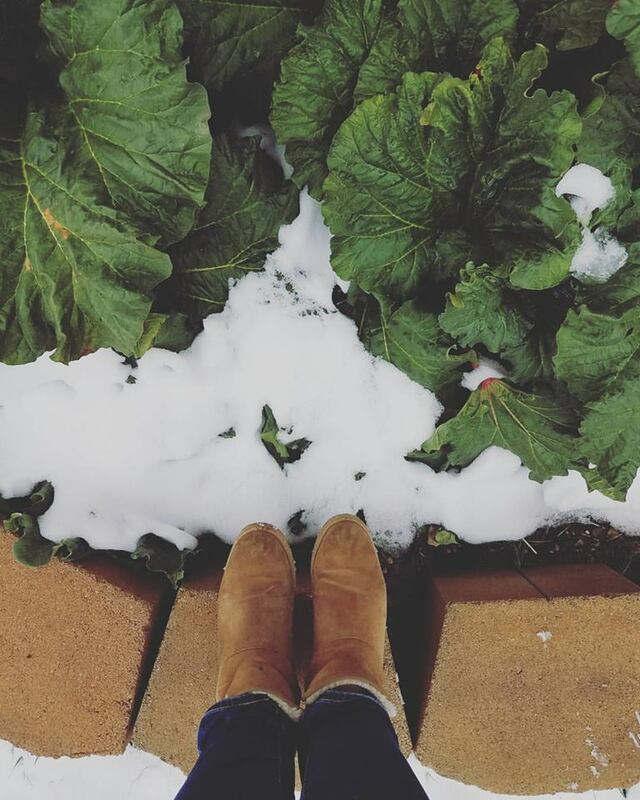 If you don't have a garden you can pick up frozen rhubarb at your local grocery store in the freezer section and it will be just as good! 2. Roll out bottom crust into a 9" pie plate. 3. Wash and chop rhubarb into small 1/4" pieces. Place into medium size bowl. 4. Wash berry of choice. We love our strawberries sliced in half, but you can use blackberries, cherries or any other berry you like. Add to bowl. 5. Add dry ingredients and lemon juice and toss together. 6. Pour mixture into pie plate. 7. Roll out top pie pastry and decorate in strips or with cookie press shapes. Pinch edges around and brush with a egg white wash and sprinkle with coarse sugar. 8. Bake at 350 degrees for 60 to 90 minutes until crust is golden brown. 9. Let cool and enjoy with fresh cream. Sift the flour, salt, and sugar together in a food processor. Add the butter pieces pulsing to break up the chunks into the dry ingredients. The consistency should be of pea sized crumbles. Be careful not to over blend. Combine the water and vinegar together and slowly sprinkle it into the mixture while pulsing your processor until it is incorporated together. Divide the dough into two balls and shape the dough into round discs. Place between wax paper sheets and place in the fridge for one hour. Once it has rested a bit in the cold it is ready to roll out and use! I hope you enjoy this pie as much as we do. For me it reminds me of home and tastes like a whole lot of love! I will be sharing Grandma Abbie's Rhubarb Pudding recipe on Sunday. It is so easy to make and a treat you'll love. It's still a little chilly and gloomy outside, and spring is trying it's hardest to burst through. 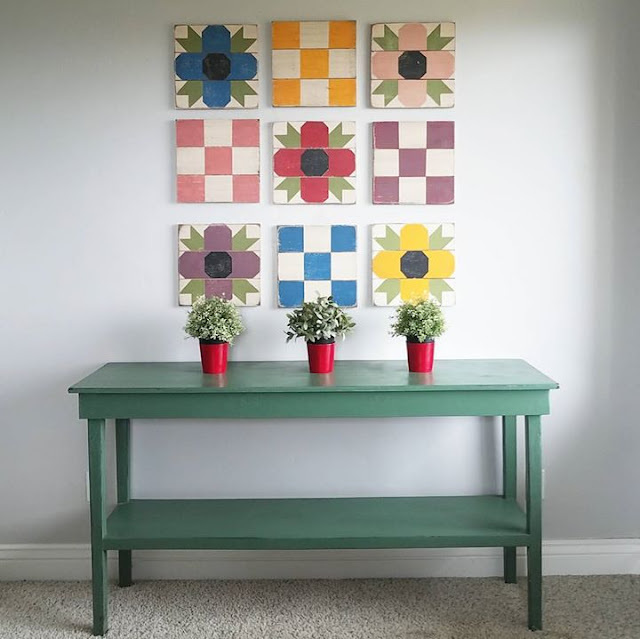 The other day I needed some color and decided to paint a few more of the Pretty Poppy Collection and get them on the wall. I just love this little set on mini barn quilts all hung together. It is like a garden burst out of my wall! 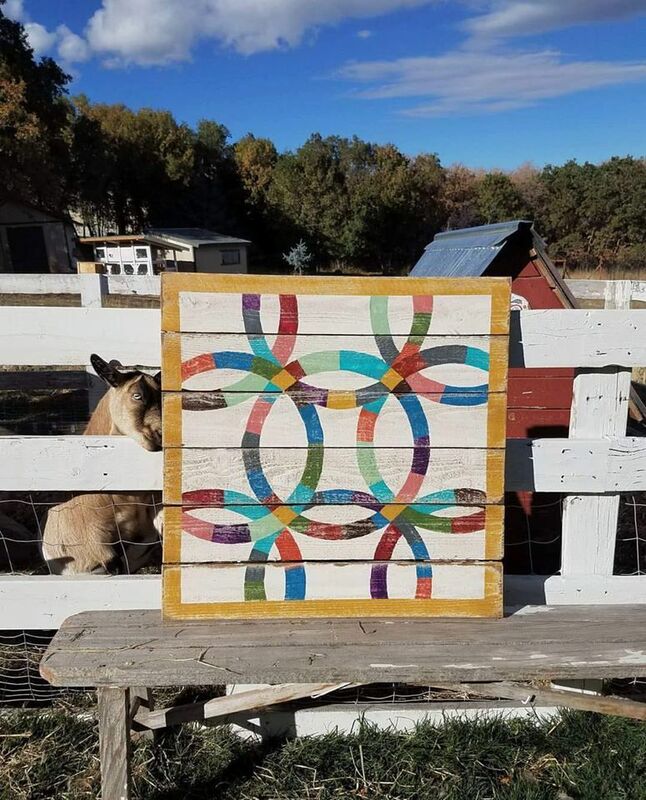 Each mini barn quilt is hand painted and sealed for use indoor or out. I hung mine in my mudroom, but I jeep imagining them together in a little girls room or a laundry room, breakfast nook, sunroom, etc. Of course they would look equally charming over a potting bench on a porch or shed. As always custom colors are available upon request. 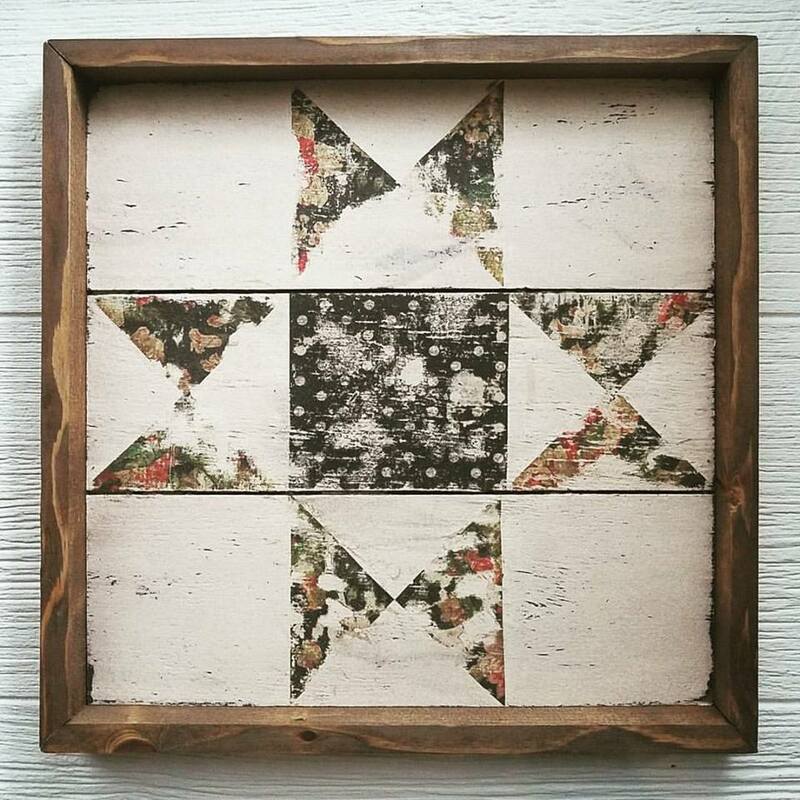 Once they are hung together it makes a 38" x 38" wall "quilt". The Pretty Poppy Wall Collection is available in The Shop today and if ordered before midnight tonight...it's Free Shipping Friday! I hope you have a fabulous holiday weekend and that you are feeling the little burst of spring wherever you are!!! Twice a year we have Free Shipping Friday... which means that all products in Our Shop have free shipping!!! It begins at midnight MST on April 13th and runs through midnight MST on April 14th. 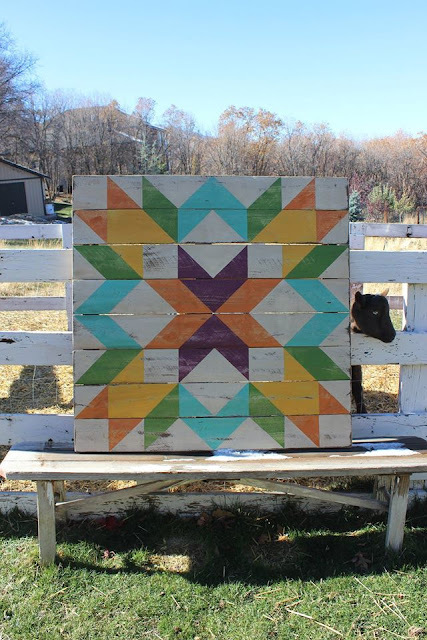 We have added a truck load of new barn quilts, patterns, and accessories to the shop for this sale! There are many option for colors and sizes...it is ahhmazing. So don't miss this chance to save on shipping. Have a wonderful Easter...all our love! 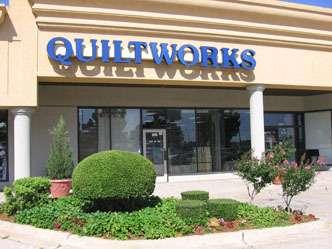 Next week April 21st and 22nd we will be in Oklahoma teaching our barn quilt class at the fabulous Oklahoma Quiltworks in Oklahoma City! There are three class times offered over the two days we are there...so if you are in the Oklahoma area and have wanted to take one of our classes you can sign up here. 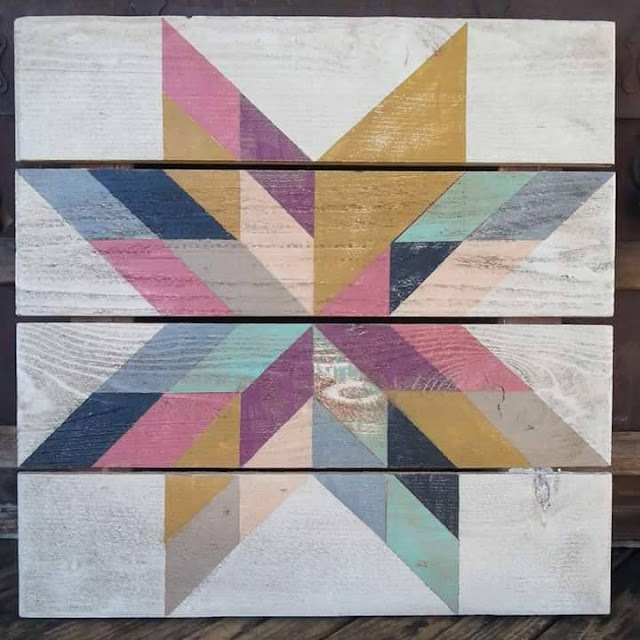 We will be covering the history of barn quilts and barn stars, how to build, paint, finish and use these pieces of American folk art. There are still a few spots available so contact them, sign up and come by to say hi to us! We hope to see y'all next week! 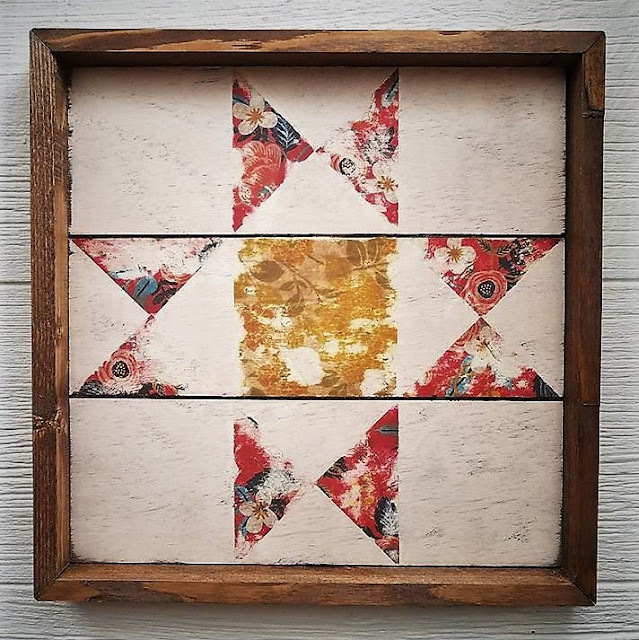 It is April and spring is here and I promised a new mini-barn quilt for the season and I think these little Pretty Poppy Barn Quilts will last well into fall with no water, weeding, or fuss! 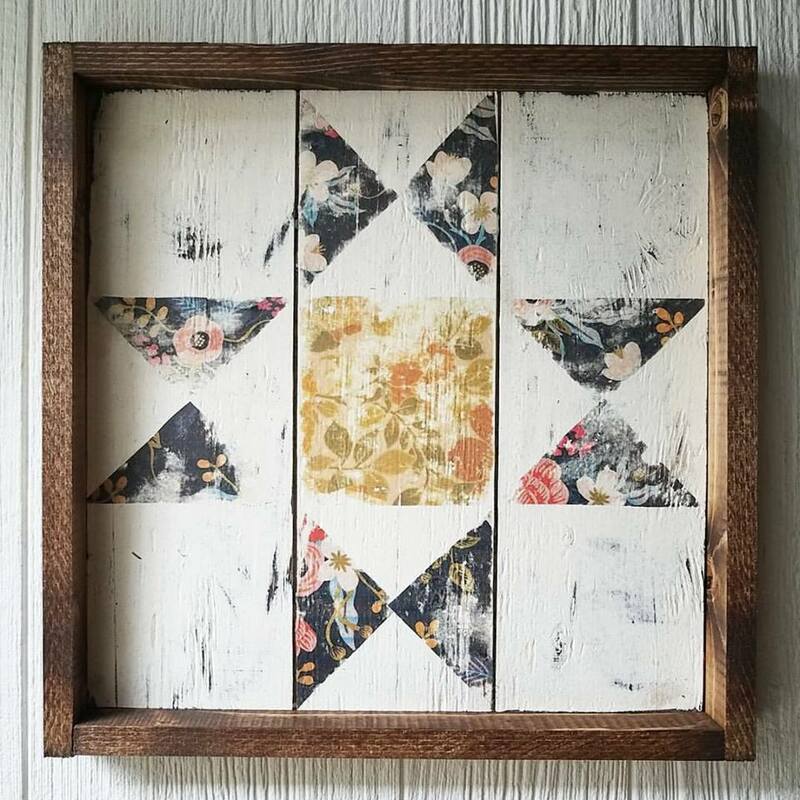 They are a darling 12" x 12" square, hand painted and sealed for indoor or outdoor use. They also come with a convenient hanger in the back so they are ready to go. The only trouble with these little cuties is one isn't enough. They look so cute together on my fence. They are $30.00 a piece or $95.00 for the collection of four! I just may add a few other colors to the collection and make a nine square wall quilt with them. What do you think? I think it would be darling in a little girls room, a laundry room, hallway and of course on a barn/shed. We can't forget they are called barn quilts. 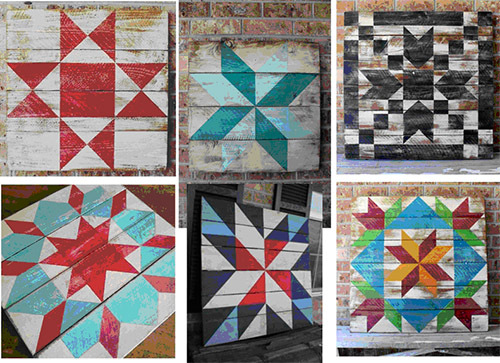 I hope you love these Pretty Poppy Barn Quilts as much as I do. They are available in The Shop today and ready to ship this week! Happy spring!! !